They knew something was up, hence the additional diodes. Then they probably discovered later that the reality is the 80N15 was too whimpy. Anyone looking at a TO-220 stuck to a heatsink of that size could have figured that out. Any RF bypassing right at the gate of the MOSFET? (I haven't looked at the schematic.) The high impedance makes them great antennas, even in spite of the high capacitance. A few 100V nF-range SMT ceramics might be in order. The PCB traces to and from the MOSFET are essentially inductors, and essentially transmitting antennas when narrow pulses and/or sharp edges pass through them. If anyone wants to have a little fun, try probing around in powered-up linear circuits with the antenna of a handheld DMR radio while the radio is transmitting, even with low power. Haven't investigated it, but I've thought about putting a small power inductor on the end of a probe and driving it with a pulse generator through some coax, as a diagnostic tool to find all the cool stuff I can couple into and wreak havoc with. It did seem a little odd to me as well. I showed the section of this video with the pass-transistor diagram in class today. It got rave reviews and cleared up some confusion during the Voltage Regulators/Power Supplies unit. You think the addition of those diodes protected the 80N15 in my case?.....where I hooked up a battery backwards to Ch 1...at the expense of the current sense resistor. I disagree. This TO220 package is rated at 300W, and if you are dissipating 100W, there is only a 50 degC junction to case temperature - that is very manageable. The maximum operation junction temperature is 150 degC and to meet that at 100W dissipation, all you have to do is to keep the heatsink below 100 deg C. I am sure they manage that. There are two obvious concerns. First, even though it has a proper DC Safe Operating Area spec, it makes me very nervous. With a low gate voltage and a low channel resistance, the trenchFET cells will be very susceptible to thermal runaway in the linear mode. Vishay make the same device (SUP80N15), and their data sheet says it is optimized for PWM use. It is still designed mainly for switching. Here is the problem - even if the device can meet the SOA spec 100%, if there is a combination of events that can cause some cells to start conducting more then other cells, then thermal runaway can start anyway. It is possible to design MOSFETS that are immune to thermal runaway but the 80N15 is not anywhere near that class. When you look at the data sheet more closely, the device is rated for DC at up to about 6.5A at 40V - but at a 25 degC case temperature. There is no spec for SOA at a 90 degC case temperature but given the fact the cells are susceptible to thermal runaway, the SOA has to be degraded. How much can we expect it to degrade by? If we look at a MOSFET that is properly specified for linear use like the IXYS IXTK46N50L, it can do 7A at 100V (25degC). At 90degC case temperature, it drops down to 3A at 100V. The IXYS is designed with a much lower risk of thermal runaway - well over 20x the resistance in relation to the die size and a 50% higher gate threshold, so my guess is that realistically, the 80N15 drops to no more then 1A DC SOA at 90 degC case temperature. I cannot imaging the 80N15 actually being capable of 3A in linear mode at 90 deg C case temperature at about 38-40V. Secondly, they clearly added two extra protection diodes, and that indicates that they have been having problems. It is a big clue to issues they have been having. Sometimes when you start adding diodes to fix one problem, you can make new problems. Can you just change the MOSFET? 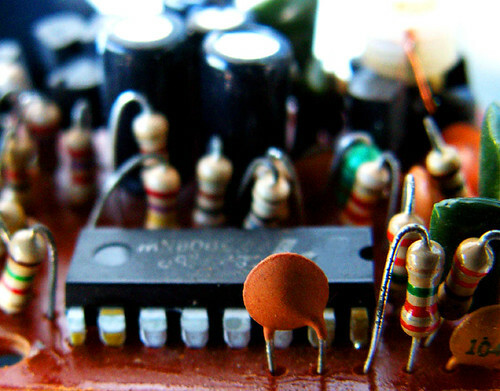 The problem there is that it is very hard stabilizing the feedback loop of power supplies, and the power MOSFET characteristics are a major element in the feedback loop. You might fluke it, but in all probability, you will end up with a sometimes-unstable power supply. Regarding this "neatly bodged" protection diodes that may create new problems, examples ? An example...... Not diodes, but I hope it gives you the idea. I used to work in a company making inverters - I wasn't the one doing the inverter designed at the time. We were getting very regular IRFP460's blowing. There were numerous meetings and numerous fixes. One fix was "Only buy from one manufacturer - the equivalents from all the other manufacturers are crap!" Years later, I was involved in a project to redesign the product so that about 5 boards went onto a single board. I wanted to use a smaller heatsink, and I couldn't work out why the mosfets were running so hot. I was reviewing the design of the transformer coupled driver circuit and I discovered that it was faulty. A mosfet would initally turn off cleanly, but as the voltage on the drain started to increase from 0V to 400V, the drain-gate capacitance was turning the mosfet on again for about 30 nsecs. This was the problem that was wasting 10% of inverter efficiency and was blowing mosfets. The power engineers had been working on this inverter for years, and had blamed everything except their transformer coupled driver circuit. None of the fixes they had pushed through had ever actually fixed the real problem. The consequences were not just the stunning realization that we were blaming the lousy quality mosfets for years and that it was our fault all along, but it ruined my redesign. I had the new prototype board in my hands ready for testing and suddenly I had no mosfet driver circuit. There were no simple high side driver IC's at the time. It was really hard then designing a circuit that could tolerate 8 billion volts/sec slew rate and still work perfectly. I left pretty soon after that and I don't think the product redesign was ever completed. In general, fixes are often implemented without as much testing as the original device had. In the original design, the circuit often has hundreds or thousand of hours of testing. Sometimes fixes can get as little few hours of testing before approval, especially if it is an urgent fix. Sometimes a circuit is flawed and has no easy fix, but companies will try and add an easy fix anyway. A boss will stand up and say "Redesigning the board is totally out of the question. Just fix it!" Basically if a part fails, and I see a mod has been added to stop it failing, I would look into the original weaknesses, how good the fix was, and whether the fix is as bad as the original problem. The initial problem was caused because someone didn't fully understand the circuit, and there is no reason to assume anything had changed when they did the "fix". If the "fixed" part fails again, then the "fix" is probably not a proper fix. Well that pretty much summs that the original design was too small. I wonder, if with just a "back of the envelope" calculation of 3-4 forum member can come to this conclusion, what was Rigol doing? Its not like they replaced it with a different TO220 and become the issue, one of the main component was designed too small from the start. Seems like they did not have an analog designer, doing the power section. I've seen so many cases, where there was a hardware issue, which they tried solving in firmware. Because that is "free" in management's mind. Like making complicated PID designs instead of changing a capacitor. And then the hardware patches. The original design was tested for numerous hours. Production already begin. Product is shipped, promising the new features in the future. Firmware development reached a point, where a new feature was used, which is not working well (failure of planning, it is called). And the patch is released, after testing one board for a few hours. Lets hope it doesn't brake anything else! Its not like they replaced it with a different TO220 and become the issue, one of the main component was designed too small from the start. If the chip inside the TO220 package was the right chip, then the TO220 package would have been fine. Now they are using the IRFP260 - they have gone from a device that was underspecified for DC use to one that is not specified at all for DC use. Brilliant! Who cares about data sheets anyway? IRFP260 is an old design, somewhere from ther early 90th. They have a huge die compared to modern MOSFETs and are much better suited for linear operation. IRFP150 and IRFP250/260 are widely used in electronic loads. They have tried the least expensive solution first. It's the same like for consumer electronics, the customer does the beta testing. It's sad that Rigol tries to save some cents/pennies at the wrong places. Everyone would be happy to pay a few bucks more for better components that matter, like pass transistors in PSUs. I was planning on purchasing a Rigol DP832 for my lab supply. Is it still a worthy purchase? I suppose I could get one from Agilent used on ebay but the functionality of the Rigol is pretty hard to beat for the price and size. The old HP supplies that provide the same power output specs are quite big devices and usually no front facing plugs. I could get like 3 of the Mobile DC source units or similar power supplies from HP that might work well. Still the programmable interfaces on the Rigol is hard to beat. Form the Vishay datasheet the SOA on this little TO220 MOSFET looks very good, not to say to good to believe it. If you just take the datasheets the IRFP260 may not be better. For the IRFP260 there are also different datasheets some specify a DC SOA curve. I hat a look at the old teardown video, that showed some triac drivers near the rectifier. So this would indicate that there is some kind of preregulation. One might want to check that if this is still present with the output turned on - the "only" 37 V with the failed MOSFETs somewhat seems to indicate there is some function. Perhaps the DP832 compares the setting with the actual values for voltage (CV mode) or current (CC mode) and if neither are agreeing, then it assumes being out of regulation (which is also why it will display it during the transition between the two). My guess is that "UR" just means "unregulated" as Dave's DP832 shows UR all the time while the voltage is slowly ramping up on the defective CH1. Maybe a bit off-topic and maybe not, but my DC electronic load also shows "Unreg" if I take the load up too far and the DUT plummets below the setting for (e.g.) current. It does the same if I switch it on with nothing connected and I or V set to any value other than 0 as in the attached image. I guess it compares the setting to the actual value and displays "Unreg" when they don't agree (it was set to 5.000 A in the photo, but the flash reflection drowns the digit). From the home eevblog page search for "DP832 problem" as well as youtube videos not mirrored on eevblog to help inform your decision. I've used mine extensively and never had a problem, but I use it well within "sensible limits", powering PCBs between 2 and 12V and rarely above 2.5A. No short circuiting or other extreme situations. If you intend using it for stuff like this then you can't go wrong. Gesendet von meinem Motorola DynaTEC 8000X mit Tapatalk 2. Agreed, finding hand soldered components in the DP832 is not strange at all. At work we often have to hand solder parts on the boards because it's impossble or impractical to solder them in the machines (reflow and/or wave soldering). Yes, that will leave flux residue on the boards, but we use the so called "no clean" solder. After soldering the flux residue becomes inert and can stay on the board without any adverse chemical or electrical effects. I can say this with quite some certainty as we do this even with metrology grade instruments that need very low leakage across pcbs. Residue of flux used in the wave soldering process usually can stay on except in critical applications. That thin liquid rework flux can definitely not stay on the boards, though. When that dries, there's a white, salt-like deposit that must be cleaned off. Many fluxes from cored solder don't clean up all that well without the use of strong chemicals. We use no clean solders and very few customers ever complain that we leave the residue on, just like on the DP832. My guess is if Dave had taken a look at the other board as well, those pass transistors would have shown signs of hand soldering too. Having said that, we do have customers who require cleaning of boards as a matter of course, even though there's no technical reason! These customers typically sell their products all over the world and some of their customers tend to take a close look at the boards (esp. in Asia) and start asking questions when they see a repair or an abundance of flux residue, and given Dave's reaction at the sight of a hand soldered FET, I can understand that. I took mine apart and I can confirm top board ver 2.20 has a IRFP260NPBF pass transistor. However the bottom board Version 2.20 appears to have much thinner gauge wire for Ch2 wiring compared to Ch1 and a IRF5210PBF pass transistor. I thought it was interesting the top and bottom board use a different transistor for the 30v 3a Channel. I couldn't quite see the others transistors attached to the bottom board without complete disassembly so I could stand to be corrected but I believe the output of the IRF5210 was connected directly to the ch2 output. I'm not sure how the ch3 5v is connected yet as it was hard to see the other transistor part numbers. Anyway aside from the first DP832 that I had delivered that completely lost CH1 out of the box (it would deliver 30+ volts no matter set voltage) I've had no problems with the replacement they sent, and have been quite happy with it. Can you do a video with the channel 2 loading the relay contacts and channel 1 powering the coil , of course hook a scope on the channel 2 output for the rise time when the contact open and another probe on a current sens device for the spike. This could show a design problem of supply or a weak/damaged FET in channel 1. @c4757p, @amspire, guys, I think the problem with all that mosfet SOA ratings is that they assume the mosfet is _fully open_. AFAIK, a big mosfet transistor is just many small mosfets sharing the same bulk. They may well have different Vgs(th) and in linear region it happens that some of the conduct while others don't. For this reason it is recommended to keep switching mosfets either fully open or fully closed and minimize transient time (this is mentioned in some datasheets). Anyway, would like to hear your opinions. This bothers me a lot because I don't like hard-switching because it is noisy. But this is a big gray area most of the time 99% not even discussed in datasheets.